This was once a collection of lengthy sidings situated in-between Erith and Slade Green, at milepost 15 from Charing Cross via Greenwich, which formerly fed a series of industries on the edge of the Thames. Since, however, the track bed between the North Kent Line and the water's edge has been completely built over, erasing virtually all traces of a railway having run through this part of the suburban landscape. Today, only a pair of mock buffer stops at the end of a rebuilt pier at Erith, adjacent to a large supermarket car park, remain as testament to the locality's industrial railway past. The North Kent Line opened to traffic on 30th July 1849; this was followed on 30th October 1852 by the commissioning of perhaps the earliest private freight branch connecting with this SER route, that to Angerstein Wharf. 8-miles down the line, sidings at North End (named after an area of Erith called "Northend" - note the single word), in addition to a short branch line from there to the edge of the Thames, were in existence by at least the mid-1860s. The branch was about ½-mile-long, terminated at "Cray Coal Wharf", and made a trailing connection with the "down" track of the North Kent Line. The wharf was owned by a well-known coal trader and ship owner of the day, William Cory, and it was used to take delivery of the commodity from Thames barges. A brick works also existed along the eastern side of the departing North End goods branch, but no rail connection to this is evident from the earliest maps. Erith was for long well-known for its fish trade, but this completely disappeared as industry along this section of the Thames started to build up; thereafter, all fish for the town was sourced from either London or Gravesend. One of the then new developments which emerged on the bank of the Thames here was that of Erith Iron Works. Building of this was begun in Autumn 1864, partially upon the former site of some pleasure gardens, alongside a short water inlet known as "Anchor Bay". The works came under the name of "Easton, Amos & Anderson Limited" and the site, which was laid out by engineer Sir William Anderson, complemented an earlier complex opened by the same firm in Southwark. Maps show the iron works to have a rail connection from the outset, by means of the North End branch, which linked to its internal railway network. 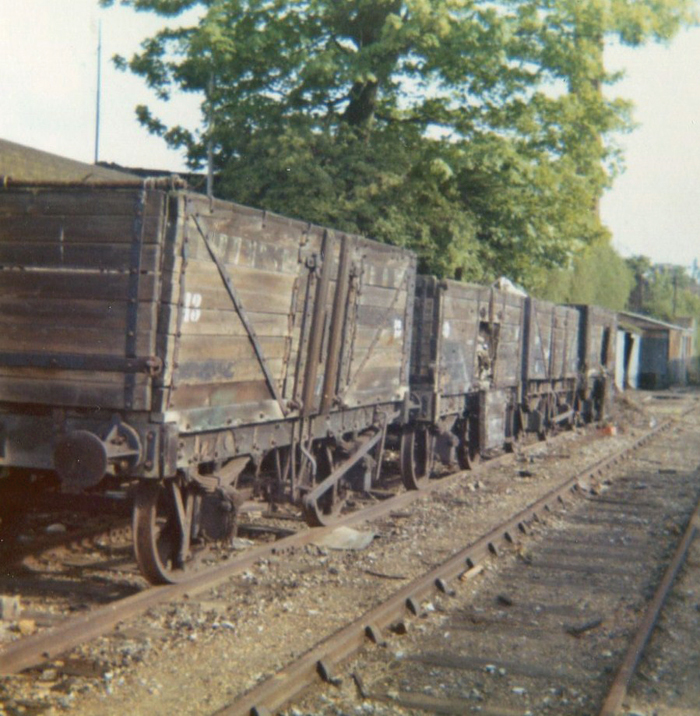 By 1895 the freight line had greatly expanded from serving a single wharf, growing to feed a collection of coal depots, a timber yard, a brick works, and the already mentioned iron works. The brick works was briefly touched upon earlier and was in evidence during the railway's earliest years, being established on land which had been part of "Anchorbay Farm" (note amalgamation of "Anchor" and "Bay" into a single word for the farm's name). Although lacking a connection to the North End branch in its earliest years, it did possess an isolated tramway extending to the water's edge. Between 1895 and 1909, an additional siding at North End was laid, this time London-facing on the "up" side of the North Kent Line. 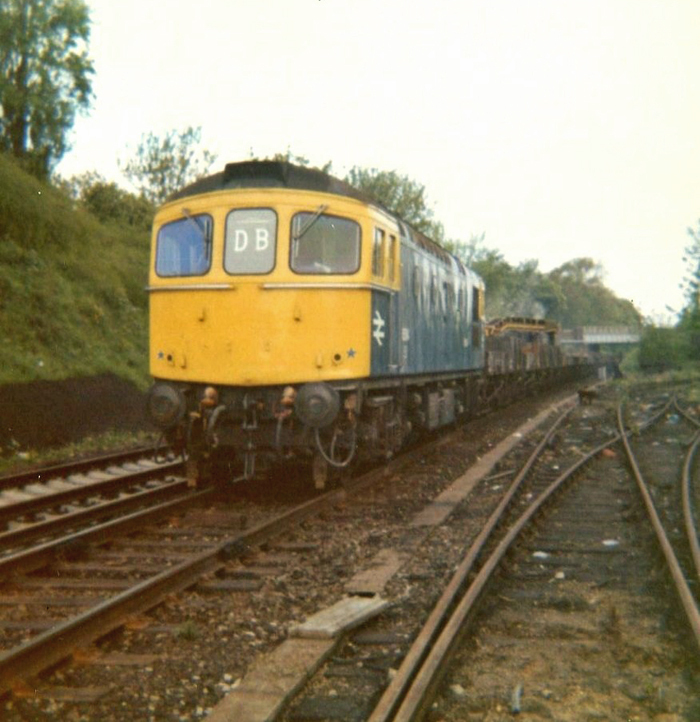 This was in conjunction with a southward extension of the original "down" siding, so the two now terminated at Northend Crossing, about 500-yards to the south of the divergence of North Kent and North End lines. The crossing had been in evidence since the North Kent Line's formative years and the crossing keeper was accommodated in a two-storey brick-built house on the "down" side of the line. An SER-designed signal box was opened at the crossing in about 1897 and shortly afterwards, a lattice footbridge was erected over the tracks so pedestrians did not have to wait to cross on the level. By 1909, Erith Iron Works had ceased production at Anchor Bay and in 1911, British Fibro-Cement commenced operation on the same site. This company manufactured asbestos cement sheets under the "Fibrent" name, used for walls and ceilings, and produced slates for roofing. The company expanded its operation beyond the original iron works site to incorporate land to the south, this of which was formerly occupied by Anchorbay Farm and the brick works. As per the iron works which preceded it, the Fibro-Cement operation was linked to the North Kent Line by the North End Sidings branch. Additionally, that part of the complex located upon the former brick works site was also served by a new spur feeding off the "down" siding beside the North Kent Line. 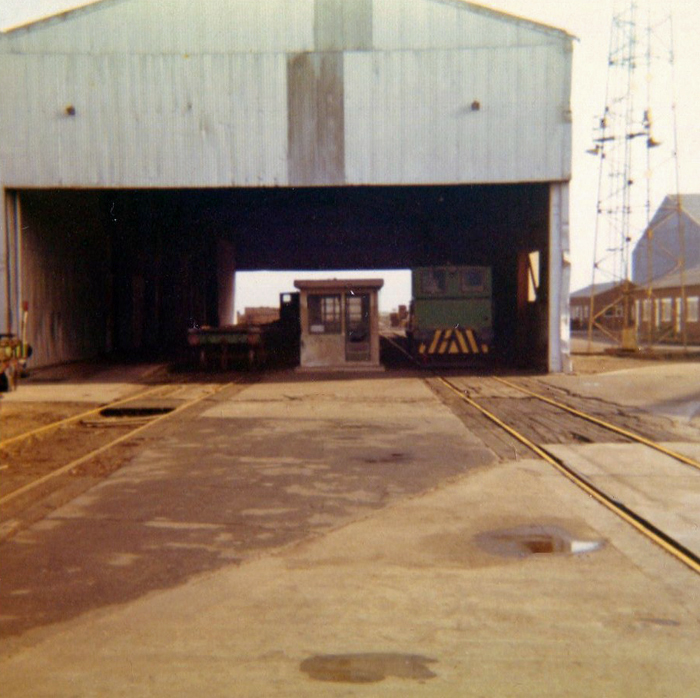 Diesel traction was adopted fairly early on at William Cory & Son Ltd's coal depot at Erith. 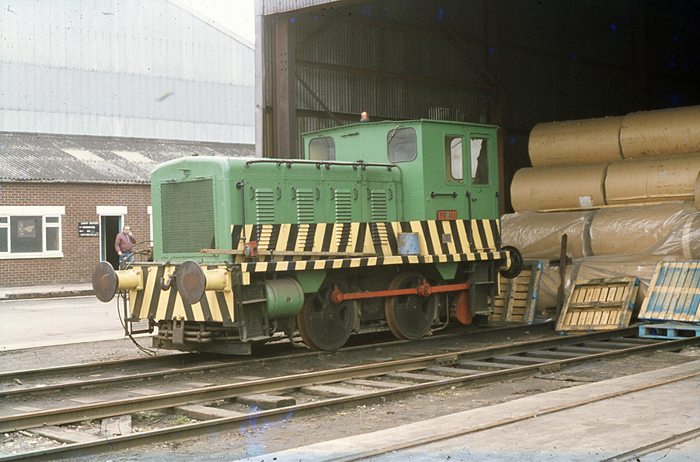 In 1954, a 153 HP 0-4-0 diesel shunter was delivered to the site, which had been ordered by the firm from the Drewry Car Company. The latter in turn subcontracted building of the locomotive to Robert Stephenson & Hawthorns and on arrival at Erith, this was named "Thetis", after a deity of Greek mythology. Earlier, in 1951, William Cory & Son Ltd had also taken delivery of another 0-4-0 shunting locomotive, again ordered from Drewry but this time built by the Vulcan Foundry. Named "Taurus" (another Greek mythology connection), this spent time both at the company's coal wharves across the river at Purfleet and at Erith. On 1st November 1970, North End Crossing signal cabin was relegated to the status of a gate box when this part of the North Kent Line was brought under control of the Dartford Panel. It remained in this function for a matter of months: the level crossing closed in the following year and the lattice footbridge was replaced by a larger metal structure affording more gradual inclined approaches. It also appears to be at this time that the North End branch ceased to carry traffic between the wharves at Erith and British Rail metals. Maps of 1971 origin label the network as "disused", although the track was still in place. The connection between the main branch and the Fibro-Cement works had already been dismantled, although that track which accessed the site directly from the south remained in situ. Much track was still in place throughout the 1980s on this side of the Thames, although the main line connections had since been taken out. By the following decade these rails had gone, with just the track bed remaining. The last significant traces of the North End railway site were swept away as part of the construction of a supermarket and its associated entry/exit roads, this opening on the edge of the Thames in Erith in October 1998. The track bed through from the North Kent Line was redeveloped for residential property.